Your baby will be sure to make everyone smile in this adorable Baby Zoo Keeper bodysuit. 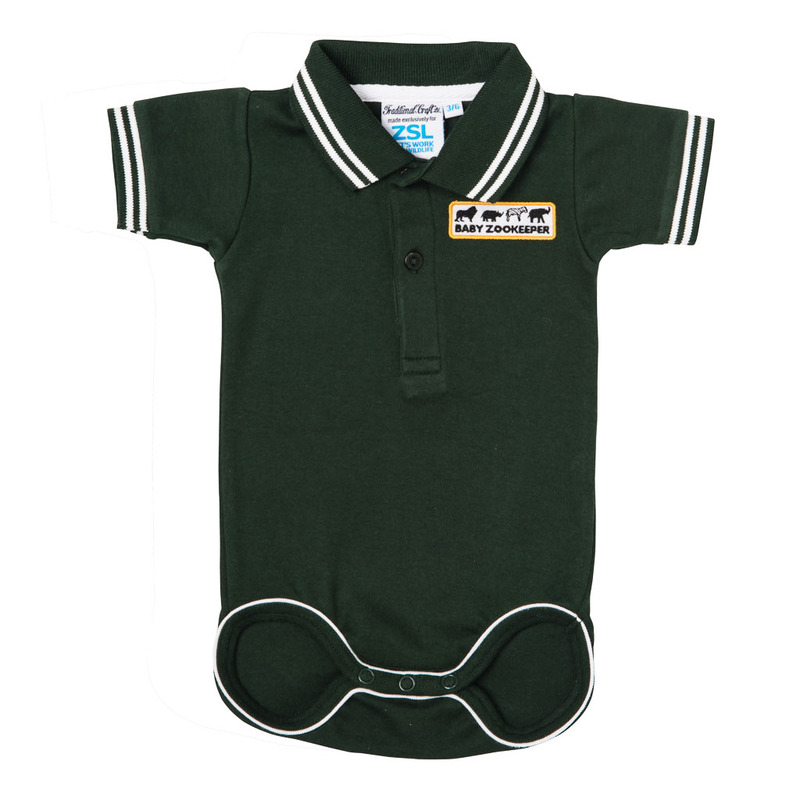 Made from soft cotton this baby bodysuit has been styled on the actual uniform worn by our zoo keepers at ZSL London Zoo and ZSL Whipsnade Zoo. Perfect for a day at the zoo, each baby onesie has a popper opening underneath so that dressing and changing is fuss free. I purchased this at the zoo and I love it so much. My little boy has worn it lots and I am going to be buying another one in the next size up.